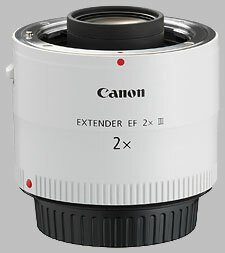 The Canon 2x lens extender doubles the focal length of a lens, making (for example) a 200mm lens function as a 400mm lens. The 2x series was introduced in 1987, updated in 2001 with the version II model, and again in 2010 as the version III model, the subject of this review. The 2x III Extender is available now, for around $480. With the Extender attached, sharpness is noticeably reduced. You'll never get tack-sharp results with the 2x III Extender attached: at f/5.6, the lens produced images of only moderate sharpness, with some improvement stopped down. Images at f/8, f/11 and f/16 show essentially the same level of sharpness, good but not great, and then things soften up again as the lens is stopped down to f/32 or smaller. At f/45 and especially f/64, things get pretty fuzzy. There is a noticeable increase in chromatic aberration introduced by the 2x III Extender, at all apertures; you'll want to consult our sample images for more detail. Using the 2x III Extender alleviates corner shading noticed without the use of the extender, at the ƒ/2.8 setting, but that's only because the ƒ/2.8 aperture is no longer available. At the widest setting of ƒ/5.6, the corners are only a 1/4 stop darker than the center. The 200mm ƒ/2.8L offers light barrel distortion in the corners and overall, very light pincushion distortion: adding the 2x III Extender actually alleviates any problems of distortion, producing almost no distortion throughout the image. In our usage of the 2x III Extender, we noticed a significant impact on the autofocus performance of the 200mm ƒ/2.8L II USM lens, which is fast and snappy all on its own. Canon warns that there is an impact on autofocus performance with type II and III Extenders. Specifically, Canon suggests that AF drive speed is reduced by 75% when using the 2x Extender. However, Canon has indicated that autofocus speed and accuracy has been improved in the type III version of the 2x Extender. The 2x Extender III has some useful implications in macro work, offering an extra 100% magnification without sacrificing the minimum close-focusing distance; in the case of the 200mm ƒ/2.8L II USM, this results in 0.32x magnification instead of 0.16x magnification. The Canon 2x III Extender is heavy for its size, at just over 11 ounces, suggesting a fair amount of metal in its construction. This is a significant increase from the 9 ounces of the version II 2x Extender: it's slightly longer, and incorporates rubber gaskets and seals to improve the lens' resistance to weather. Two additional lens elements have been added, including one ''anomalous dispersion'' element. Finally, to justify the significant price increase, an flourine anti-smear coating has been applied to the front and rear of the Extender. The finish of the lens is white, to match Canon's upper-tier L-class telephoto lenses, for which the lens is designed to be paired. 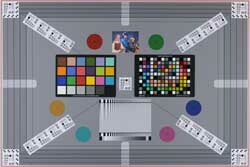 There is only one control surface on the extender: a switch to release an attached lens. Unlike previous version I and II extenders, the version III 2x extender cannot be combined with a 1.4x Extender to produce a significant increase in focal length. This is due to a redesign of the location of the lens elements, with a rear element that protrudes much further out. The Type III version of the lens Extender doesn't do much to enhance image quality over the Type II version: there is a slight improvement in resistance to chromatic aberration, but image sharpness is more or less the same. However, the the Type III version justifies its price increase with enhancements to autofocus speed and accuracy, as well as the addition of weather-resistant seals. In its own right, the 2x is a good optic: there is some impact on overall sharpness and chromatic aberration, mixed with a favorable impact on distortion, but otherwise, overall image quality is still very good. The addition of weather sealing and enhanced autofocus performance goes a long way to justifying the increase in price over the Type II version of the same Extender. Works verry good with the 300 mm F2.8 L IS USM II and the 70-200 mm F2.8 L IS USM II . 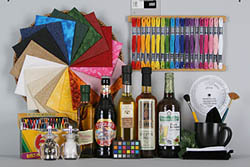 Sharp pictures and AF works excellent. Tested this like 5 weeks ago. The Extender 2x III performs better on my 70-200L IS Mk2 than on the Mk1. There is a noticable difference in AF and IQ. I had them side by side. The Extender 2x III gave no improvement on the 70-200L IS Mk1 over the Extender 2x II. I got the Extender 2x III in the end. Of course the IQ degrades a bit, but the IQ in my combination is not worse than the 100-400 IS USM.